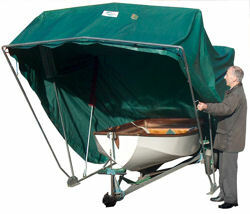 Very effective protection for your car, motorcycles, sailing dinghy, garden equipment, mobility scooter or bicycles. DESIGNED TO OPEN &AMP CLOSE UP, OVER &AMP DOWN. Easily opened and closed. 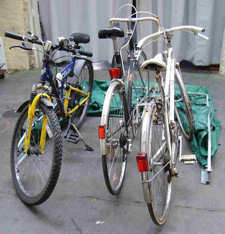 Folding Garages are also known as Portable Garages or Perambulator Garages. ALL our Folding Garages are designed to go right down flat to the ground when opened; makes getting in and out so much easier. A photo showing this design feature can be seen in every section.